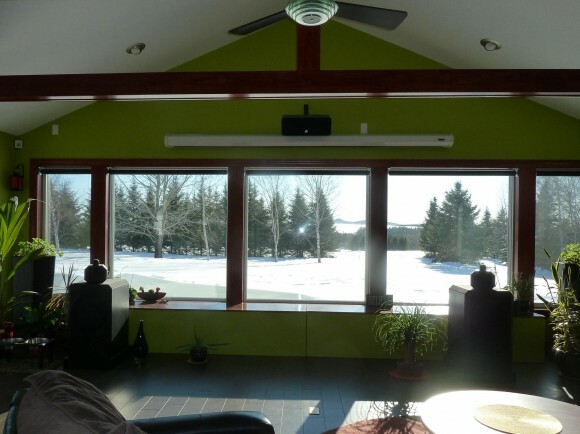 Here’s a beautiful passive solar house that’s toasty warm in the cold, snowy winter. He has a gorgeous tile floor next to large southern facing windows. Beautiful! Take a look at his website. All the photos also link to the building category at Quadomated.com. It’s a bitterly cold day outside. The outside temperature is around 0°F, 20-30 mph winds, wind chill close to -30°F and I couldn’t feel toastier! Oh how I love the passive solar effect! 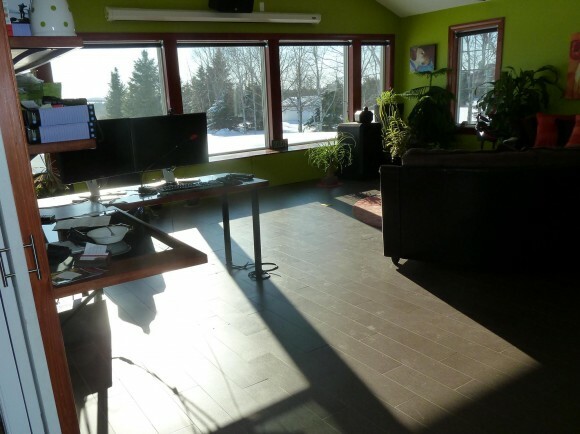 Sunshine streaming in through the windows, a concrete floor soaking up the radiant heat, and thermostats in the 75-81°F range without a bit of help from our furnace. The winter sun is always low in the sky. At this time of the year, when we need heat the most, it’s very close to the winter solstice and the sun is at its lowest angle it will be for the entire year. Notice how deep into the room the sun’s rays strike, radiating onto the dark tile, heating the concrete underneath as it absorbs hundreds of thousands of BTUs from the sun. This energy will go into the concrete floor instead of overheating the house and gradually reradiate into the house later this evening. 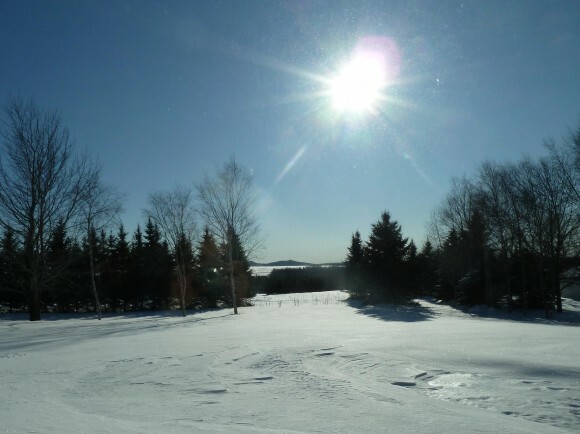 The really awesome thing about passive solar heat is it works best when you need it the most! Say in the middle of the winter when it’s cold, especially on these bitterly cold subzero days. Don’t know if you ever taken a moment to step back, and really think about these supercold days, but any time it’s freezing out, like below zero, it’s always sunny. You see, air can only hold so much precipitation depending on its temperature, and the colder it gets the less it can hold, so any time it’s really cold that means it’ll be bluebird sunshine outside! Great thing because this means any time in the winter when we really need heat the most we get it for free! Contrast this to the middle of the summer when it’s hot outside, the days are long, and the sun is high overhead, and the sun’s rays aren’t creeping into the house even a bit. Yes, it’s still bright/sunshiny inside, but no direct impact from the sun’s rays keep things from overheating. Even more, you can reverse the heat storage effects of the concrete in the summer by opening the windows at night to cool down the slab, and then closing the windows during the day to use the cooled slab to keep everything comfy. Considerable free heat in the winter, some cooling in the summer… Can somebody please tell me why more people don’t build their homes this way? Really, it’s that amazing! I read about passive solar, researched it, incorporated it into my house design and WOW… what a difference! You really have to feel/experience it to completely appreciate the difference, and let me tell you, anyone who steps inside my house on a freezing cold day will instantly feel the sunny warmth and know what coziness is all about. 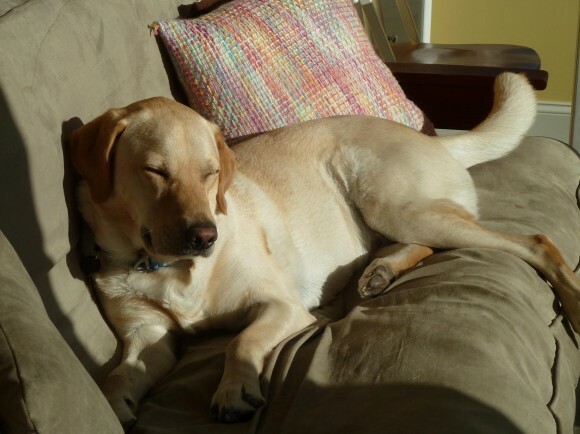 Ahh… I love the sun! Caleb relaxes in the sun.